PLAYLIST SERIES: OCTOBER We are back again with another TOTAL MELTDOWN PLAYLIST for your enjoyment. Including new releases from NLV Records, Foxsky, Rora Team, DESKPOP, and more, recap your month of October with this spooky list of tracks! Enjoy! COMPANY From Southern California arises producer gupi with his latest EP titled Company! 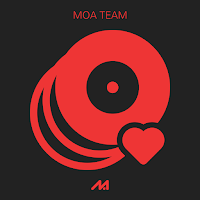 Released on internet label, Rora Team, Company fuses together quirky melodies and distorted mechanical synths accompanied by bouncing bass and riveting vocal samples. Tracks such as "Company," a soaring adventure of colorful amplified beats or his simmering collaboration with Ivy Hollivana titled, "All of Your Heart," mold and shape gupi's latest EP into a cohesive theme of bringing something fresh and light-hearted to the table. With a total of 5 boisterous tracks, the EP also includes a revamp of his noteworthy track "Porlap's Adventure" titled, "Porlap's Revenge"! 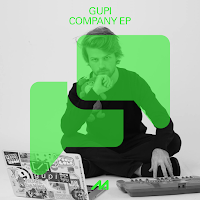 Below take a read on our Q&A with Rora Team's gupi, talking all about his new EP Company! Enjoy! 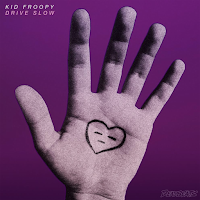 "NEW YOU"- KID FROOPY (UMRU REMIX) Kid froopy’s electrifying EP called Drive Slow ascended to the ears of many within just two days of its release. Composed of four original tracks and four remixes, including a brilliantly enigmatic take on the soft lyrical song "New You" from New York-based producer, umru. With a changeup in distorted humming vocals and a sprinkle of rumbling bass, umru never ceases to amaze listeners. The clattering drums combined with violin instrumentals, the remix manages to have both a soft and cutting edge sound outstandingly, many won't find. Below share and listen to umru's remix of kid froopy's "New You"! 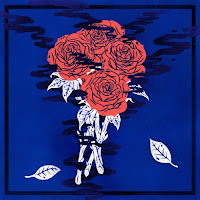 KEYGEN Up-and-coming French trio, .dxf, dropped their debut EP titled, Keygen, offering a twist on electronic and R&B styles. 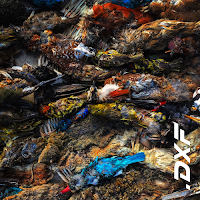 .dxf is a new project formed by RBMA alumnus Keight and folk duo My Friend Is. After releasing their first single, "Efira," the trio are sharing a new style of electronic music that is ready to surface today's scene. Sultry distorted vocals layered on top of fuzzy bass with rich electric guitar, the 4-track EP carries dark and smooth vibrations in tracks like "Your Eyes" and "Spring Ended." Combining ultramodern melodies and futuristic elements, .dxf has already shared stages with distinguished artists such as D.R.A.M and 6lack. Out on Embrace Records, below share and listen to .dxf's Keygen EP! In the spacious Center For The Arts venue in Eagle Rock, local LA artist, Mark Redito, showcased some of his beloved, talented friends! Artists Omniboi, Meishi Smile, TV Blonde (who we, unfortunately, were not able to witness), and Redito himself rotated on the stage for a night of music and most importantly cheers with friends. From Mieshi's raging live set to Mark's groovy reveal of unreleased music, the space echoed with energy from the voices of everyone that evening. 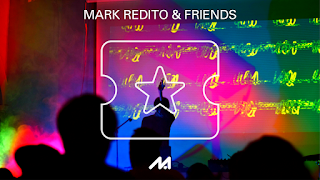 Mark Redito & Friends gave LA spark and shed light on bringing a show that warmly greeted people of all kinds together under one roof. If you, unfortunately, missed out on this night, don't fret! Below check out our packed photo gallery and video that recapped the event! 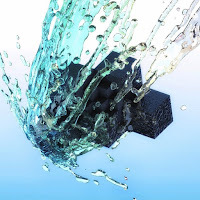 SKYRISER Released on TREKKIE TRAX, whimsical producer Maxo, launches his long-awaited EP titled, Skyriser! From the past release "Plushlined" to new works like "Tears in The Wind," each track on this EP encases Maxo's boggling mind on composing digital sounds and melodies. Take a trip on his use of piano instrumentals and bubbling bass. You can feel the fusing vibrations on tracks like "Grow Wings" and "Dependent," swirling in playful synth structure. 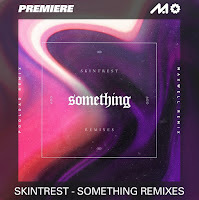 With a total of five original tracks, Skyriser also offers three unique remixes from TORIENA, Tomggg, and Carpainter! Below share and listen to Maxo's Skyriser EP! "EYES IN THE BACK OF MY HEAD" - EASTGHOSTThere are some artists out there that you highly anticipate hearing new music from and Eastghost is without a doubt one of them. This Portland native drops a hypnotic release titled, "Eyes In The Back Of My Mind" on bitbird's newest compilation! The track begins with an uplift of vocals leading into a bright light of unusual rhythms and chilling bass. Eastghost's signature dark and compelling melodies pour over the track saturating your body in goosebumps. Below share and take a listen to Eastghost's "Eyes In The Back Of My Head"! 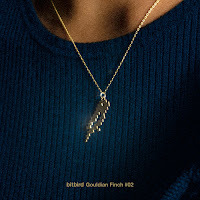 Get the rest of bitbird's compilation, Gouldian Finch #02, for download here! 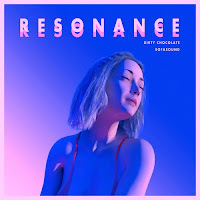 "RESONANCE" - DIRTY CHOCOLATE FT. SOFASOUNDWritten by: roshuxElectronic producer and fashion guru Dirty Chocolate is back on their grind this week with a new track featuring Sofasound called, “Resonance.” The intro begins with an eerie, yet beautiful piano lead, followed by some hard-hitting percussion and synth plucks that’ll make your head rock back and forth. The track is filled with the perfect amount of reverb to give it an atmospheric vibe, while still sounding clear and focused when it needs to be. There are tons of small details that you constantly pick up during the track like the crickets chirping, or the castanet sounding samples that make great use of space. Check out this sick tune and the rest of Dirty Chocolate’s music below! 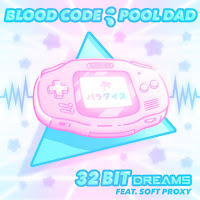 "32 BIT DREAMS" - BLOOD CODE & POOLDAD FT. SOFT PROXYEnter a cosmic journey with BLOOD CODE and Pooldad as you listen to their new collab "32 Bit Dreams!" Enchanting vocals by Soft Proxy, the glowing collab samples the Gameboy startup jingle and leads into a beautifully synth driven drop. From the interactive promo to the final release of this long-awaited collaboration, both producers showcase each others' style of constructing a track of animated sounds and leaping bass. Fall into a digital dream and listen to BLOOD CODE and Pooldad's "32 Bit Dreams" featuring Soft Proxy! 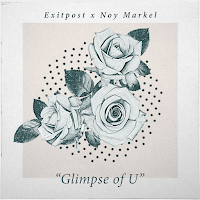 "GLIMPSE OF U" - EXITPOST X NOY MARKELWritten by: roshuxExitpost and Noy Markel are bringing us a super relaxing track this week with “Glimpse Of U.” The track starts with Exit’s signature atmospheric sound, then progresses into the smooth vocals provided by Markel. Markel’s voice shines over the tranquil and spacious production, which makes for a truly memorable collaboration. The lyrics are chilling and are definitely going to be relatable to most, so get ready for some real feelings when you listen to "Glimpse Of U." Check out this song, and the rest of these artists’ work below! 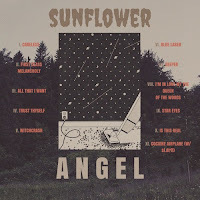 ANGELSUNFLOWER, formerly known as PRISM LITE, is back with a luscious and lucid album titled ANGEL. From down under, this Sydney producer captivates the essence of the balance between minimal and dynamic production. The crisp vocal samples mixed with jazzy hip-hop flavors release energy that is undeniably addictive. The album beings with "Careless," a groovy upbeat tempo that reveals the senses of what can be caught on the streets of New York. Throughout the album you can hear the soft guitar and whispering flute instrumentals on top of head bobbing drum patterns. SUNFLOWER's newest creation obtains silky tunes such as "Witchcrash" and "First Class Melody." ANGEL is an album for those seasons of lying under the city park's trees, waiting for the leaves to change into a thousand shades of gold and orange. Below share and listen to SUNFLOWER's album, ANGEL! THIS HEATA sultry project from Australia's Strict Face will melt your soul with every beat. Dropped on NLV Records, Strict Face's This Heat EP combines bubbly textures and whimsical melodies that beautifully blend together. Tracks like "Silk Swathes" or "Mirage Motif," exemplify his ability to build smooth 808s and glittery drum work. Also, Strict Face offers us collaborations with Sophiegrophy in "Cobra Charm" and in "Afterparty" with Tarquin and Yayoyanoh. A year since his last NLV release, This Heat reveals this Aussie's dedication to mending production that stands out from others. Below share and listen to Strict Face's This Heat EP!